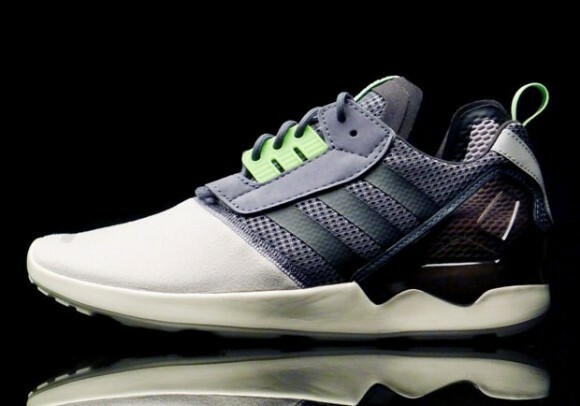 adidas coming back at us with yet another cool lifestyle shoe! 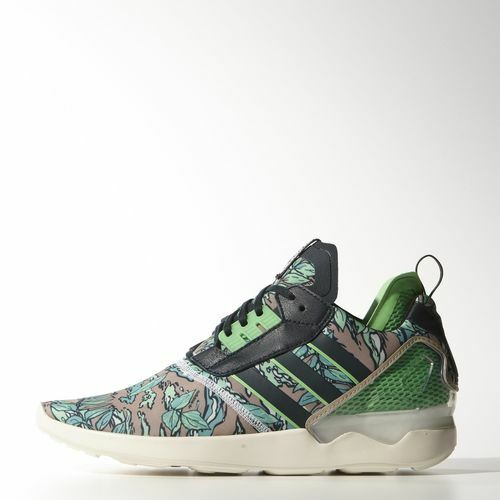 Within the past year or so, adidas has been pumping out best sellers, including the pure boost, ZX flux, SL loop, and tubular. These shoes have definitely boosted (no pun intended) the brand’s street creed. The comfort of these sneakers matched up with the cool designs gave adidas the advantage of gaining many fans. Now, almost combining aspects of all of their best-sellers, adidas is hitting us with the new version of the ZX 8000 Boost! At first glance, these shoes look like something from Y-3, taking on a similar shape of the tubular runner. Not to mention the materials, which seem to feature a soft nubuck, or maybe even a suede. However, the sneaker seems to be built to last. With a plastic heel reenforcement, an inner-booty construction, and mesh along the mid foot panels, these seem to be built around performance running. Although these shoes feature boost technology, it seems to be one of the first lifestyle sneakers to utilize this foam encased within in the midsole. Usually in adidas boost sneakers, the boost is visible on the midsole/outsole. If anything, these sneakers look extremely comfortable, and pretty stylish, too. A couple of colorways have already released on adidas.com for a retail price of $140. But, the colorways out at the moment do not seem to feature the soft materials seen in the grey/green colorway below, which we will most likely see in the U.S. later this spring. If you would like to grab a pair on adidas right now, click HERE. To purchase the grey/green colorway from overseas, click HERE. Let us know what you think of the model! I don’t get it. Is it a lifestyle shoe or a performance sneaker? I’m not 100% sure, as I don’t own a pair, but it seems to be a lifestyle sneaker that is modeled around performance, if that makes sense. Thanks! There is a removable bootie w/ a boost insole. There is a removal bootie w/ a boost insole.